Since I seem to be killing time this morning posting a bunch of previously half-written entries, here’s a picture of the day. 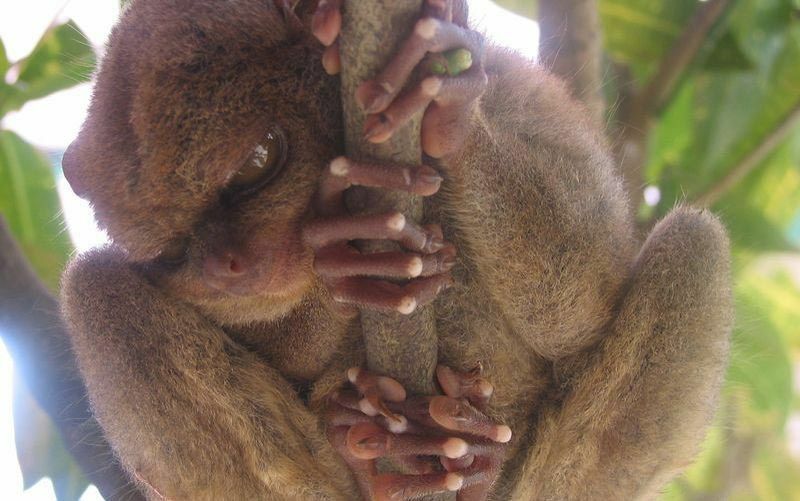 Add a set of wings and you’d have the perfect flying monkey in this evilly glaring tarsier. Click for the full “Yikes!” crabby effect. Here’s the Wikipedia entry on these little primates, with some friendlier looking pictures.